It’s here, tonight: http://www.theoperaplatform.eu/en/opera/szymanowski-krol-roger and the Royal Opera House YouTube Channel. 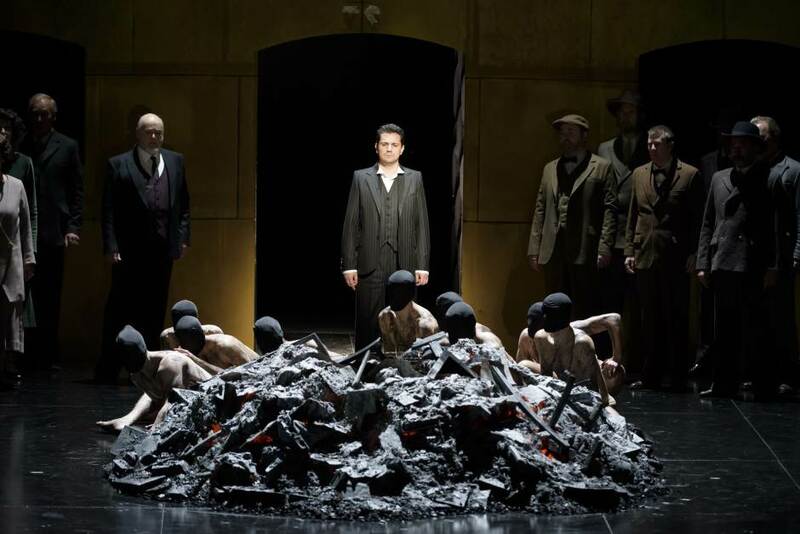 As part of The Opera Platform venture, the Royal Opera House’s new production of Szymanowski’s Król Roger is being streamed live on 16 May 2015 from 18.40 (BST) = 19.40 (CET). The opera itself starts 20′ later. It will also be available online for the next six months. In this production, Act 2 follows Act 1 without a break. Before Act 3 there is a 30′ interval sequence presented by BBC Radio 3’s Clemency Burton-Hill. The sequence includes Antonio Pappano’s guide to the music and, before that, roughly 8′ in, a live interview with me about Szymanowski and Król Roger. That’s when you can go and brew yourself a cuppa or crack open a bottle of Sicilian wine. If you fancy a bit of background reading, here is a link to my article on Szymanowski and Król Roger – ‘An Enigmatic Figure’ – from the ROH programme book. During this year’s Warsaw Autumn festival two new composer websites were launched. This brings the roster of such Polish sites to eight over the past three years and they are an invaluable source for anyone wanting to learn more about Polish music. Tomasz Sikorski‘s life and career were sadly short – he died in 1988 aged 49, and his decline is poignantly described in the biographical section of http://www.sikorski.polmic.pl/. His music speaks of personal angst translated into obsessive repetition and an uncompromising approach to musical material, which is characteristically stark. But it is by the same token compelling. The focus piece is Music in Twilight, presented in video from the 2006 Warsaw Autumn. There are a few pieces on YouTube and I wrote a post on 13 November 2013 in which I give these YouTube items (as they were available then) plus details of two recent CD issues of Sikorski’s music. Andrzej Panufnik needs no introduction, one might think, but his centenary year has not been as comprehensively covered in concert as one would wish. Earlier this year, the POLMIC (Polish Music Information Centre) series in which Sikorski’s site is the latest, set up a site devoted to Panufnik. Now, NINATEKA, hosted by Narodowy Instytut Audiowizualny (National Audiovisual Institute), has added him to its collection alongside Górecki, Lutosławski and Penderecki, whose ‘Three Composers‘ site went live at the end of 2013. These sites are primarily audiovisual but there are also highly informative notes on each piece. You may choose English or Polish pathways. 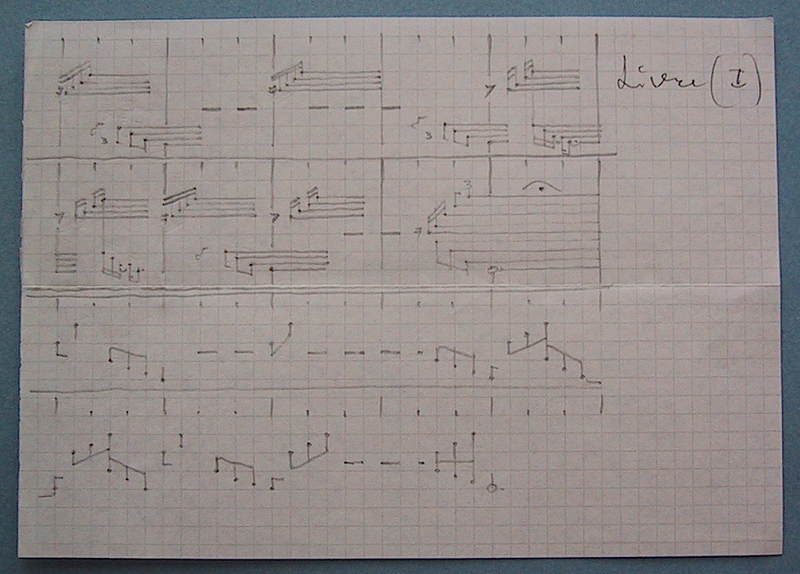 Almost all of Panufnik’s compositions are available on http://ninateka.pl/kolekcje/en/panufnik/ in audio format (sometimes in two performances) and there are a dozen video files. The most interesting of the latter are two fairly recent films on Panufnik: Errata do biografii (Grzegorz Braun, 2008, in English/Polish) in which Panufnik’s life is explored, especially the Polish years, and My Father, the Iron Curtain and Me (Krzysztof Rzączyński, 2009, in English/Polish), in which his son Jeremy travels to Poland to explore his relationship with his father. There are few Polish composers still alive who were born before 1930. Włodzimierz Kotoński (b. 1923) and Jan Krenz (b. 1926) are two of them. Kotoński is additionally significant as an author and as a teacher of subsequent generations of Polish composers. Krenz is primarily known as a conductor and champion of music by his compatriots. Bogusław Schaeffer (born on this day 85 years ago), however, has even more strings to his bow. He is an artist, dramatist and author, as well as a composer and teacher. I first came across Schaeffer’s music at the 1970 ‘Warsaw Autumn’ festival (the premiere of Quatuor SG by Zygmunt Krauze’s Music Workshop) and at the following year’s festival (the premiere of Heraklitiana by the harpist Urszula Mazurek). Little did I realise when, a week or so later, I took the train to Kraków to study at the PWSM (State Higher School of Music) that I would spend seven fascinating months as his composition student. We were like chalk and cheese in our musical tastes. I was wet behind the ears, he was a polymath on contemporary music and performance practice. He could not have been kinder. He introduced me to a huge range of technical and notational devices and encouraged me to experiment, test and investigate. His energy and restless imagination were incredibly stimulating. Among the pieces that I wrote was a work for solo harp that Urszula Mazurek played at the 1976 ‘Warsaw Autumn’. But in truth little else of substance emerged, not least because I was using the time also to get to know music by other Polish composers and to begin to build up my now extensive library of Polish music and, as a sideline, of Polish posters. The main lesson for me was that there were huge positives to be gained by studying with a composer with diametrically opposite aesthetics. It was not that I sensed no contact – far from it. When I returned to the UK I took up a lectureship at Queen’s University, Belfast, where amongst other Polish repertoire I gave regional premieres of some of Schaeffer’s piano music, including the famous Nonstop (1960), as well as his music-theatre piece, TIS MW2 (1963). But my own compositional interests lay elsewhere, with Witold Lutosławski and Henryk Mikołaj Górecki. And it then emerged that neither of these composers had much time for Schaeffer. That did not in itself affect my view of or relationship with Schaeffer. I helped him with the text of his massive tome, Introduction to Composition (1976), and met up with him on many subsequent occasions, not least at an American School seminar in Salzburg at Easter 1976. Yet there is no hiding the fact that Schaeffer has been a controversial figure in Polish music. He has been regarded as a charlatan by some, an error-strewn analyst of contemporary scores by others. His custom of working on several works at the same time no doubt accounts for his enormous output of well over 1000 creations across different media. The sheer imagination of his new notational schemata beggars belief, while his ‘happenings’ and music-theatre pieces are often outlandish and/or extremely funny. His visual art, closely linked with his graphic notation, is never less than colourful and vital, while his several dozen theatre pieces are hugely popular in Poland and reach a quite different audience than his musical works. Although Schaeffer remains outside the mainstream of Polish musical life (he has lived in Austria for several decades), he has a devoted following there and abroad who relish the wild, unpredictable character of his creative imagination. Like a number of other figures (Cage and Kagel come to mind), his presence is felt in performance and as a challenger of norms, although the corollary of this is that it has been hard to find conventional audio examples of his music. The exception comes from the ever-resourceful Bôłt Records, whose double CD of Schaeffer’s music, ‘Assemblage’, contains several works and a couple of others may be found elsewhere on Bôłt compilations. The advent of YouTube, however, has given his output a new lease of life, and there is selection of his music also on last.fm. There are also online articles (a brief selection below) and I have added two passages on Schaeffer from my book Polish Music since Szymanowski (CUP, 2005). So, on this his 85th birthday, I send my former teacher all best wishes for this significant milestone, with huge thanks for his generosity of spirit, our walks in the Planty in foggy Kraków, and great memories of invigorating composition lessons. Sto lat! Sto lat! Niech żyje, żyje nam! One of the most valuable initiatives of the Polish Music Information Centre (POLMIC), in conjunction with the Polish Composers’ Union (ZKP) and other institutes and publishers, is a series of composer websites. The first, in 2012, was devoted to Kazimierz Serocki, and the second, in 2013, to Tadeusz Baird. 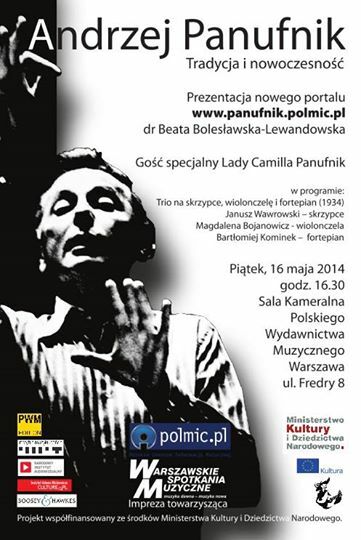 Today, it is the turn of Andrzej Panufnik, in his centenary year. With the launch last year of the threecomposers.pl website at NINATEKA (Górecki, Lutosławski, Penderecki), there are now accessible sources in English and Polish for six of Poland’s most distinctive composers of the second half of the twentieth century. The leading light of the editorial team on the Panufnik site is Beata Bolesławska-Lewandowska (she was closely involved involved in its predecessors). 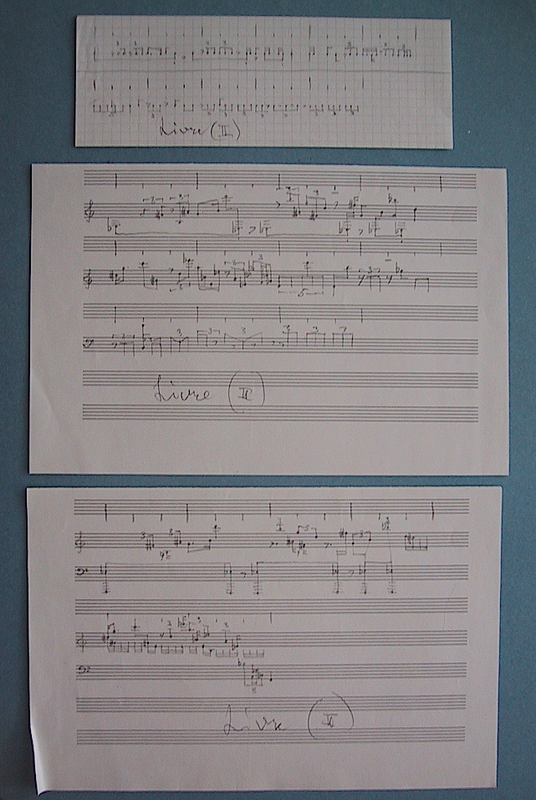 The three POLMIC sites have similar formats, although the Panufnik site is more extensive. It has eight principal sections, most with several sub-sections: Life, Timeline, Work, Musical Inspirations, Places, Gallery, Bibliography, Discography, plus a featured work, in this case Sinfonia sacra. It looks as thorough and informative as its predecessors. There are, for example, excerpts from most works at the top of their individual entries, which give useful background information on compositional circumstances, Panufnik’s concept and reception. There is even information on the mass songs (with pages from the published scores). The six entries under Musical Inspirations are useful little essays and a new feature (Places), possibly taking its cue from the mobile app released a year ago for Lutosławski’s Warsaw, explores half-a-dozen locations in each of Poland and Great Britain that were significant to Panufnik. As one might expect, the Gallery of photos is especially rich, given Camilla Panufnik’s renown as a photographer. The Bibliography is substantial and the CD Discography looks comprehensive. There is the occasional navigational oddity (the audio excerpts are grouped under Gallery-Music), while the left sidebar can be a bit too sensitive to the touch of the cursor. It would also be helpful sometime to have English translations of the documents that feature as photographs. This new Panufnik site is an exceptional new resource, and a credit to all involved. It is well worth investigating at leisure. I wonder who will be next in this series? Later on 16.05.14: Beata Bolesławska-Lewandowska has informed me that the next composer in the series will be Tomasz Sikorski – excellent news. His website will be launched at the 2014 ‘Warsaw Autumn’ festival. The now-neglected jewel in the crown of Lutosławski’s orchestral music was premiered on this day in 1968, by the Hagen City Orchestra, conducted by Berthold Lehmann, to whom it is dedicated. Had Lutosławski had his way (as Nicholas Reyland has revealed), he would have changed the title from Livre pour orchestre to Symphony no.3, which undoubtedly would have placed it quite differently within his oeuvre and raised its external profile, especially today. But Lutosławski’s change of heart came too late – the publicity was already out in Hagen. The performance and recording history of Livre is odd. Speak to anyone who knew Lutosławski’s music during his lifetime and they are more than likely to place Livre in the top five of his orchestral pieces, if not at the pinnacle. Yet, there have been only seven commercial recordings to date (another – the first for over 15 years – is due shortly in the Opera Omnia series from the Wrocław Philharmonic). This compares unfavourably with the 18 accorded his next piece, the Cello Concerto. Bizarrely, the otherwise superlative Chandos series by the BBCSO under Edward Gardner ignored Livre, which is a shame, not least because Lutosławski performed it with the BBC SO on three occasions (1975, 1982, 1983 – BBC Proms). 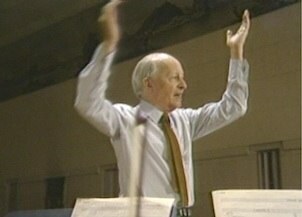 Lutosławski conducted Livre at least four more times in the UK (not including programme repeats), with the Philharmonia Orchestra (1981, 1989), with the Royal Academy of Music SO (1984) and with the Hallé Orchestra (1986). This centenary year, Livre has continued to languish in the shadows when compared to the number of performances of his other major orchestral works. His publisher, Chester Music, itemises just two performances, which is nothing short of scandalous: 30 January, Warsaw PO/Michał Dworzyński, and 17 November (yesterday), Duisberger Philharmoniker/Rüdiger Bohn. Mind you, Chester’s list of recordings is incomplete, listing just three. 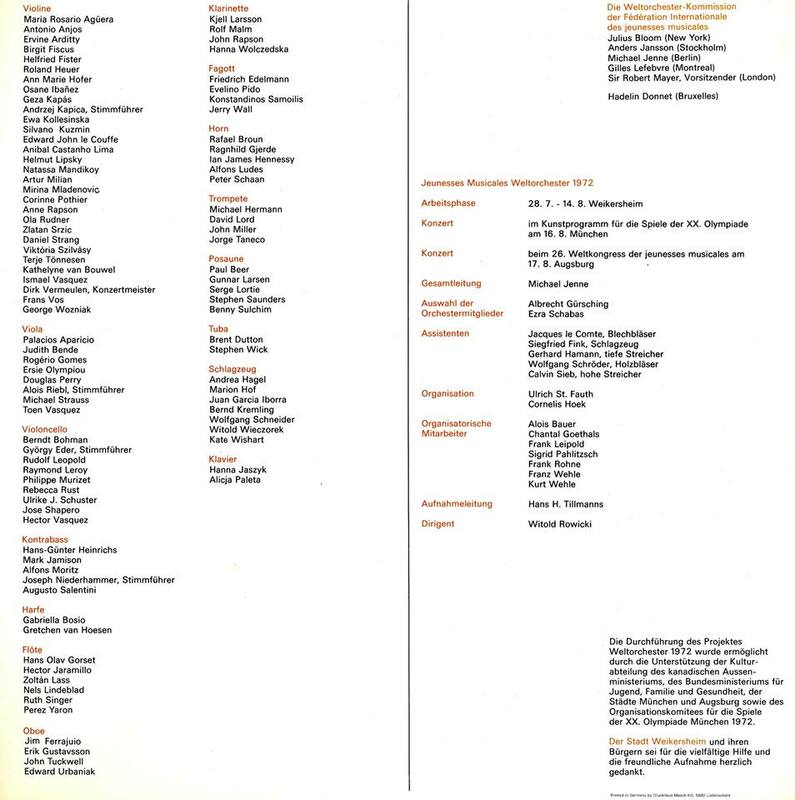 Here is the full list (giving the original record label), as far as I can ascertain. Only the recordings by Lutosławski, Herbig and Wit seem to be available currently on digital formats. Here is an audio recording of Livre, digitised by my friend Justin Geplaveid (who also provided the performance details), from a concert given on 16 August 1972 in Munich as part of the Olympic Games or on the following day in Augsburg. The players were the UNESCO Jeunesses Musicales World Orchestra, and included among the violins was one Ervine Arditty [sic]…. 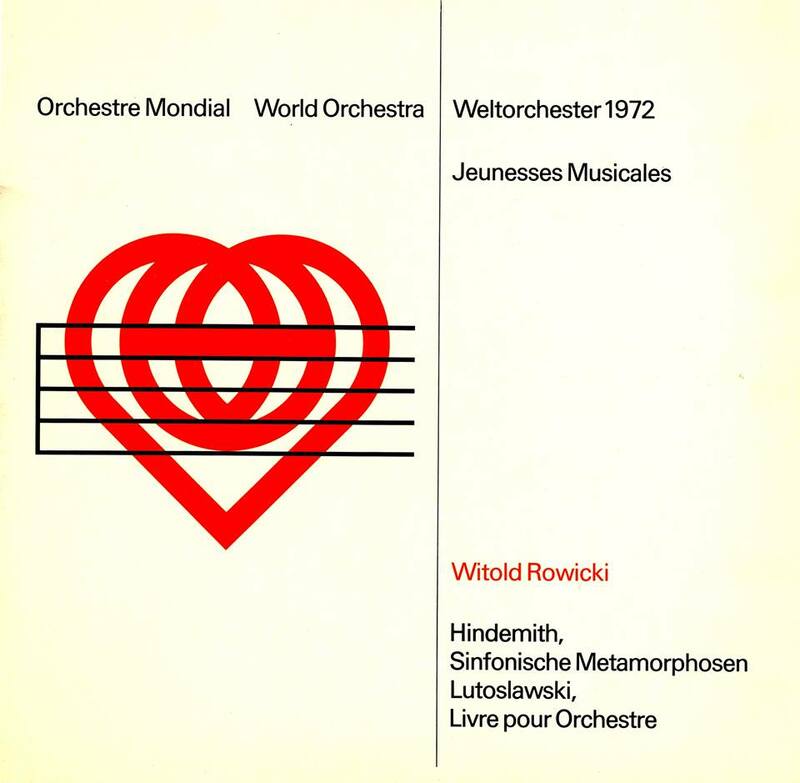 The original LP recording, conducted by Witold Rowicki, has some interesting orchestral balances. By far the most satisfactory YouTube offering is a video of Herbig conducting the Spanish Radio and Television Orchestra in Madrid on 11 November 2011. It is available on Justin Geplaveid’s YouTube site (and one other: http://www.youtube.com/watch?v=ZfeDBNyZLPU). Geplaveid’s stream also has some fascinating archival videos from the ‘Warsaw Autumn’. A few weeks ago, I put up some isolated sketch pages for Mi-parti that I’d come across in Lutosławski’s house in 2002. From that same folder “ŚCIĄGACZKI” (Crib Sheets), here are four more sketches that had not been sent on to the Lutosławski archive at the Paul Sacher Stiftung in Basle. I hope that they are there now! I have not looked at the Livre sketches in the Stiftung, so cannot say how these four abandoned sheets relate to the greater mass of material in Basle. These four sheets relate to the first two chapitres. The first three relate to the second chapitre, starting at fig. 207. The top one presents a rhythmic ‘crib’ for the eleven bars from fig.207 to fig.209 (it’s enlarged below). The notes beamed underneath present the rhythmic pattern of the piano (bb.1-4) and brass entries (bb.5-6, trumpets and trombones). The notes with upward stems have a more complicated relationship to the score and do not always correlate to Lutosławski’s final thoughts. On the first system below (equivalent to the six bars of fig.207), the upper stems concern the outline rhythm in the strings (no glissandi or sustained durational values are indicated). There are discrepancies in a few places, especially in bb.3-6, where some of the triplet quavers and semiquaver entries diverge from the score. On the lower system (the five bars of fig.208), the lower rhythm reverts to the piano while the upper notes pick out the brass entries (horns and trombones). The middle sketch (they weren’t photographed in any thought-out order back in 2002!) relates to this same passage. It is a pitch reduction for the instrumental ensemble, but there are minor rhythmic variations for some of the entries and missing pitches (cf. b.6 in particular). Bars 7-11 (the five bars of fig.208) give the rhythmic pattern for the piano, as in the example above, plus the four pinpointing rhythms and pitches on the trombones. The lowest of these three sketches relates just to the six bars of fig.207. It is a pitch and rhythmic reduction of all the instruments involved – piano, strings trumpets and trombones. The last of the four sheets presents more of a conundrum. Evidently, the bottom two systems are a skeletal version of the top two, but initially I could not relate these ten bars to any part of the first chapitre. Where were these ascending semiquavers, these descending quavers? In the end, it was the pause sign in bar 10 that gave me clue. In the score, there are only two pause signs in the first chapitre: in b.2 and in the bar before fig.109. The ten bars of this sketch match the ten bars immediately before fig.109, from the third bar of fig.108. It is the passage for brass (trumpets, horns and trombones) that leads to the clatter of tom-toms, xylophone and gran cassa that initiates the ‘codetta’ of the first chapitre. The phrasal cadences are very similar, identical in some places (notably in the last six bars). The direction of movement also matches. 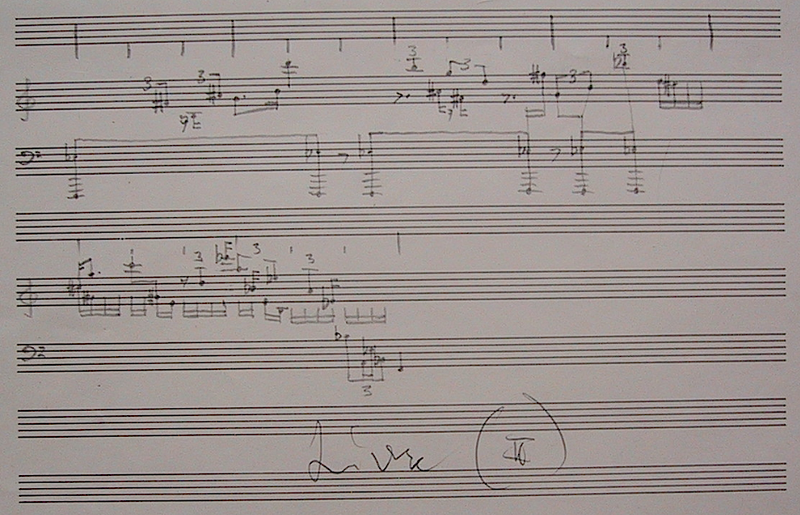 The differences with the score suggest that the sketch is an early rhythmic attempt at this passage. What may be Lutosławski’s shorthand here (but even for him such a shorthand is stretching the point) equates the upper stave in each pair to the phrases for trumpets and horns I & II. The lower stave refers to the descending phrases for horns III & IV and the trombones. But whereas this sketch has clearly defined and short-lived rhythmic movement in both staves, the fully metred section of the score stretches out the lines heterophonically, with the trombones adding glissandi between notes for good measure. As a result, there is no pause between phrases as the two ensembles overlap, creating a more fluid texture. I must admit to being a little mystified by the long horizontal lines between the two staves, so if anyone has an idea of their significance please say so. First posted on 2 September 2011. Two years ago today, there appeared on YouTube four uploads that together formed a 33’ documentary film on Witold Lutosławski. I was alerted to the uploads last year and thought it might be useful to repost them, with a brief commentary and selected timelines for anyone unfamiliar with the music. Open Rehearsals with Witold Lutosławski records the composer’s visit to the University of Southern California in Los Angeles, 21-29 January 1985, during which time he celebrated his 72nd birthday (25 January), although that event is not mentioned in the film. For some reason, the uploads have been dated 1984. The film was made by the Polish documentary and feature director, Paweł Kuczyński (left), and it appears to have been his first film (he uploaded it himself). Further details on Kuczyński may be found on his website <http://www.directing.com/index.html> and blog <http://deafearsmadness.blogspot.com>. The occasion for the visit of Lutosławski and his wife Danuta was the official opening on 23 January of what was then known as the Polish Music Reference Center (PMRC) and is now known as the Polish Music Center (PMC). The PMRC had been the brainchild and passion of a Polish-American couple, Stefan and Wanda Wilk, whom I had the privilege and joy to get to know during a year’s research leave I had at the University of California, San Diego, in 1983-84. I spent many happy days in their company (and that of their dog) at their home in Los Angeles (the domestic interior, garden and dog are seen in the film) and it was thanks to their enthusiasm that I wrote a small monograph Grażyna Bacewicz: Chamber and Orchestral Music that was published by PMRC in 1985. No donation since has matched Lutosławski’s generosity. Lutosławski had just flown in from St Paul, Minnesota, where he’d attended the world premiere on 18 January of Partita for violin and piano (1984), given by Pinchas Zukerman and Marc Neikrug. An important element of his visit to Los Angeles was spending several days observing and conducting rehearsals of his music by students and staff at the School of Music at USC, as well as looking over student scores, giving interviews and attending concerts of his music. He also conducted the West Coast premiere of Chain 1 (1983). Kronos Quartet played the String Quartet (1964) and the British composer John Casken contributed a talk on Lutosławski. This was evidently a major Lutosławski residency and one to be treasured by those fortunate enough to have been present. Its success led 12 years later to a similar profiling of his younger compatriot, Henryk Mikołaj Górecki (‘Górecki Autumn’, 1-5 October, 1997). Kuczyński intercuts and overlays film of Lutosławski at different rehearsals with the composer speaking about his musical aesthetics. If you are familiar with how Lutosławski discussed music in printed interviews you will find many typical tropes here, but they are no less interesting for actually seeing him speak about music and its contexts. There are occasional surprises, too. It would be fascinating to see the footage that was not included in the film. Part IV: Chain 1, Mi-parti. In the following commentaries, I’ve posted the four YouTube sections of the film as well as their urls if you want to have them in a separate window while reading the commentary. My observations are not comprehensive and the timings are approximate, but I hope that they add something to your enjoyment of Kuczyński’s valuable film. Witold and Danuta Lutosławscy arrive at Los Angeles airport. On the walk out, Danuta is centre front row, with Wanda Wilk on the right. Witold is in the second row, with Stefan Wilk on the right. 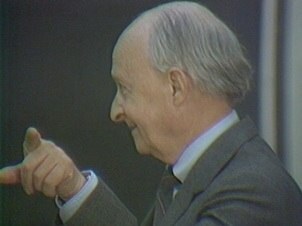 6’39” [home interview] Lutosławski on the Wilks; he later comments that life is still very difficult in Poland (he was speaking barely three years after martial law had been imposed in December 1981) and refers to ‘the Festival’, meaning the ‘Warsaw Autumn’ International Festival of Contemporary Music. 0’35” Meeting with student composers including a somewhat unexpected and frank statement on Berg: “I’m always very impressed by some works of Alban Berg in spite of the very fact that I hate his sound language … his works had a tremendous impact on me”. 1’30” [garden interview] on themes, literary programmes: “Music is music for me. It’s just the free expression of human soul by means of acoustical phenomena”. 3’55” Lutosławski suggestion to the cellist: “If you make the fortes attacking, aggressive, and the pianos without tension, like that – ‘pierced balloon’!” (laughs). 6’07” Kronos playing through the String Quartet. At that point – 26 years ago already! – Joan Jeanrenaud was the cellist in Kronos. 2’41” Lutosławski playing bb. 9-15 of ‘Ach, mój Jasieńko’, the first of Melodie ludowe, at the Wilks’s piano during photo shoot. 3’55” Kronos playing the ‘Funèbre’ section of the String Quartet. Lutosławski looks particularly focused. 5’21” on the circumstances of the survival in 1944 of the score of the Paganini Variations, talking to the pianists Jean Barr and Armen Guzelimian; he does not mention his piano-duo partner, the composer Andrzej Panufnik, by name (their relationship was frosty after Panufnik left Poland in 1954 – I witnessed this personal distance first-hand at a rehearsal in Dublin in 1979). 7’25” [home interview]: on chance, but not in the way “my personal friend John Cage represents” and on rhythm. 1’34” Seminar on his music: about Chain 1, Fig. 47, percussion: “a little as if it were a person, a character in a play, you know, interrupting something, saying, “Shut up!” “. 3’50” Meeting with student composers; a rare recorded example of Lutosławski giving compositional advice!